Sketching and drawing on tablet computers just doesn’t offer the same sensations or tactile feedback of paper. What they do offer is a ton of high-tech tools and the ability to do things that would be difficult to impossible on paper. 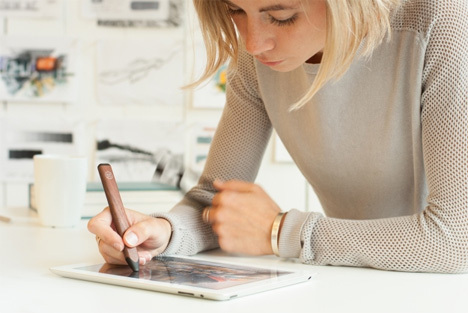 Pencil from design studio FiftyThree is a stylus designed to be used with the award-winning iPad app Paper. 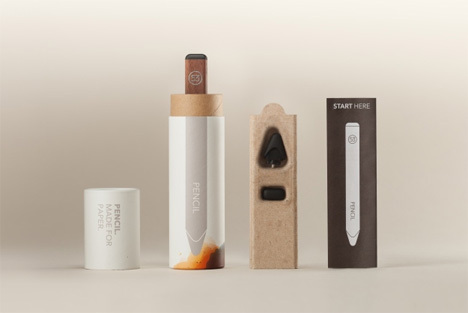 The Pencil provides users with the ability to blend and erase with the very same tool – flip it over to erase, just like a real pencil. It’s charged via USB and can last up to a month on a single charge. The Pencil replaces a traditional stylus or a user’s finger and makes the experience of creating art more realistic and more intuitive. Since the stylus is approximately the same size and shape of a pencil, the experience feels even more like traditional analog drawing. When used with the Paper app, even left-handed artists can draw without fear of their palms smearing their work. Paper has active palm rejection technology, which means that it recognizes the user’s palm and ignores it while the artist works. No smudges, no frustration. 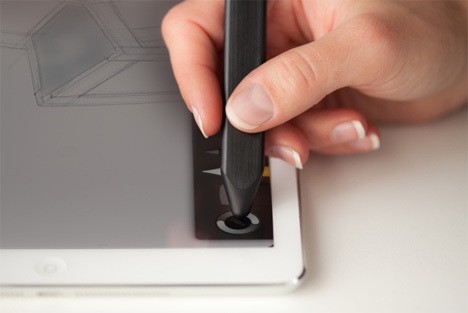 The Pencil can work as a normal stylus on any other device, even without the Paper app. The device comes in walnut finish for $60 USD or $50 USD. See more in Computers or under Gadgets. December, 2013.